As the oil leaking into the Gulf of Mexico destroys habitat and livelihoods, the extraction of oil from Canadian oil sands deposits is having a similar impact on fragile ecosystems and communities deep in the North American interior. 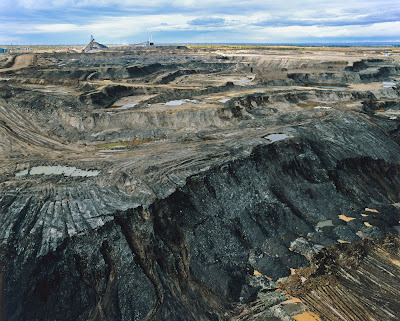 The dramatic impact of oil sands expansion should give the companies involved and their investors pause, cautions a new report commissioned by Ceres, a coalition of investors and environmental groups, and authored by the financial risk management group RiskMetrics. Oil sands development is “kind of like the gulf spill but playing out in slow motion”, said report co-author Doug Cogan, director of climate risk management at RiskMetrics. He called it a “land-based” version of the gulf disaster.